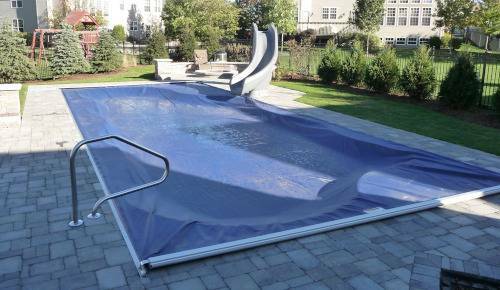 Select your automatic pool cover from 8 standard colors. * Colors may vary. See Swim Shack Inc. for a color sample and more information on an electric pool cover for you custom swimming pool. Stop in or give us a Call (630) 466-4853.